Barnet Landscape Gardening provides different types of gardening services in Barnet. They have full knowledge of the area and will serve you and your garden space adequately. The best garden design projects are performed only when working closely with the client. That is why we work on every single step of the process, from first meeting to carrying out the building of the garden features. By doing a site survey we will outline the most important details of the job. Once you have given your approval and green light, work will commence immediately. Don’t worry about the process, because our professionals will provide you with a wonderful design that you will love. Garden landscaping is a complicated process, which involves many fine details and jobs. You can contact us at Barnet Landscape Gardening for help with every single one of these tasks. Rest assured that we will deal with the job quickly and efficiently. Of course, you can also choose to rely on our gardening services in Barnet even if your garden is in its initial state. We can carry out the project from A to Z in minimal time and to a great result. Entrust us with all the garden construction and installation work and you will soon enough know that you have made the right call. Our garden maintenance service is perfect for everyone struggling with these minor garden tasks that keep it looking great. Such include lawn care, leaves collection, pruning, hedge trimming, weeding, tree surgery and more. Whether you lack the time to deal with them properly or you simply don’t have the expertise, our gardeners are waiting to lend a hand on 020 3907 7262 We are well-aware how to deal with all of these tasks and take their weight off your shoulders. Gardens in Barnet can sometimes clutter with waste. 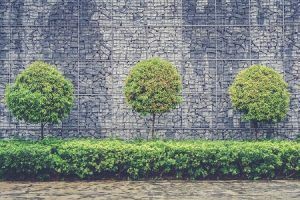 Be it leaves from trees or spent plants that you wish to see gone, you can always rely on express garden clearance by Barnet Landscape Gardening. Don’t spend hours in backbreaking work trying to clear the garden only to find that you don’t have the means to transport waste away. We can do that with ease – our expert gardeners are well trained to handle all sort of gardening waste. Leave the bothersome details to us and contact us on 020 3907 7262 for a free quote on our service. A beautiful lawn makes all the difference in Barnet. If you feel like your lawn looks like a sports pitch, then it’s time you consider some expert help. We are particularly proud of our lawn care service since we have honed it to perfection. Numerous clients already found out that all it takes to have a perfect lawn in Barnet is one call on 020 3907 7262. Our gardeners have all it takes to transform your lawn and make anyone envious of it. It is that easy for us! If your patio sees a lot of traffic or simply needs some refreshing after a rough winter, don’t hesitate to contact our patio cleaning service. A lot of dirt and dust accumulates on the patio over time and it is only by using professional gear that you can remove it. We have such gear and well-trained professionals to use it. In no time at all the patio in your garden will look like just installed! So why not contacting us to get some information about our gardening services in Barnet – dial 020 3097 7262 and get the most efficient services in town.